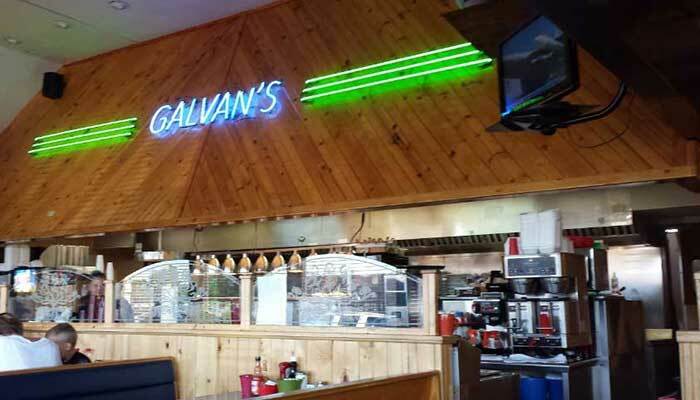 Galvan’s Family Restaurant, LLC, located on the north-end of the Fox Valley is a 100 seat family-dining restaurant that is open seven days a week. 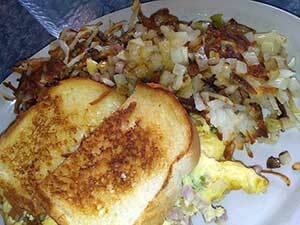 It has successfully been operating since March 12, 1998, at 2220 East Northland Avenue, Appleton, WI. 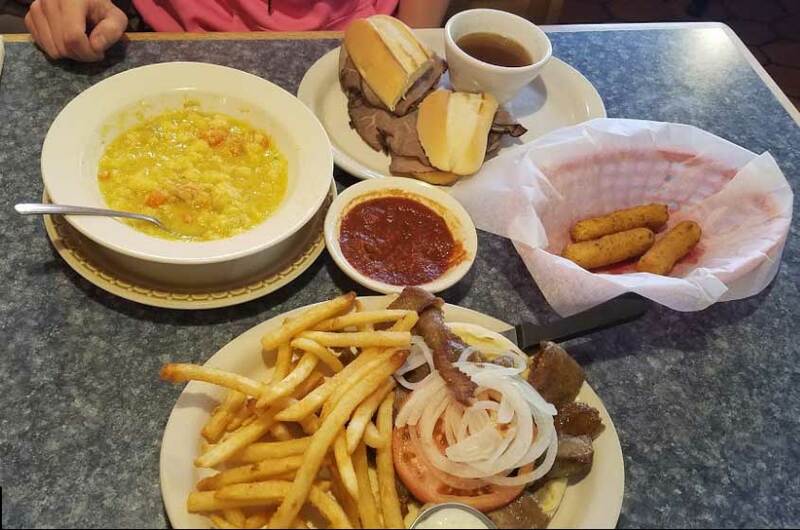 Bring your appetite! 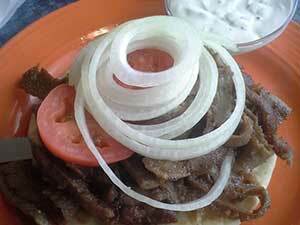 Buy 12 Pieces of Any Dessert or 12 Gyro Sandwiches and Get One Free with the Completed Punch card. Ask your server today for a card to join our Card Club and get free dessert or a meal. Located on the northeast side of Appleton, WI, near the intersection of County 00 and Ballard Rd with easy access from Hwy 41 or Hwy 441. 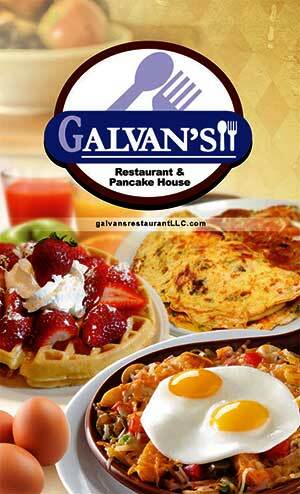 Galvan's menu offers light breakfasts to the hearty fulfilling multi-course breakfast to get your mornings started. Our reputation is offering larger portions. Galvan's Restaurant & Pancake House is located in front of the Super Bowl, next to Chase Bank and across the street (County 00) from Pick N Save. 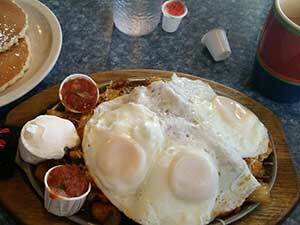 I did put 5star judging on just local places that are open for breakfast. 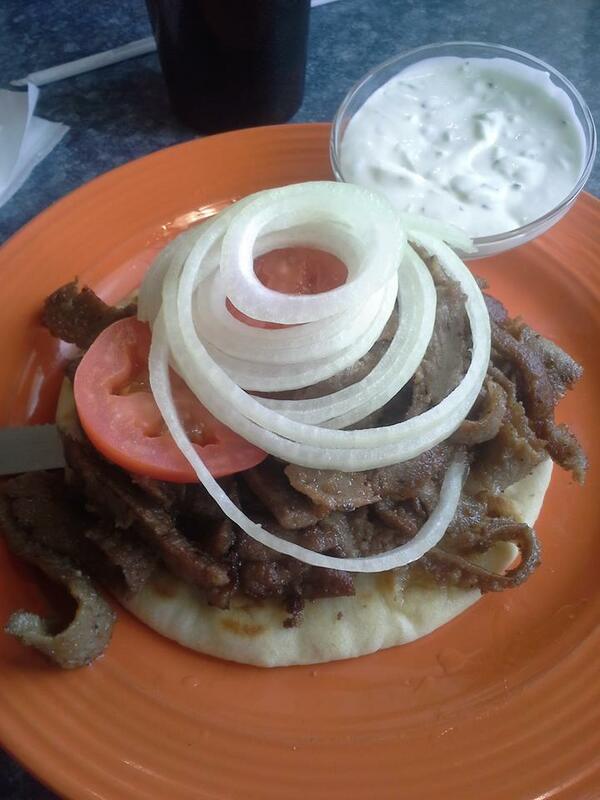 We ordered from the skillet list, I got gyro and the wife got Mexican. Food was delicious, also I got to take leftovers usually I never do, but not here and was enough for another meal. For my wife she had for two more meals. 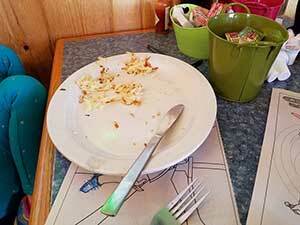 Waitress did everything right, no time delay on coming to check on us at all. Perfect! Thanks guys. Very good food and lots of it. Servings are big. 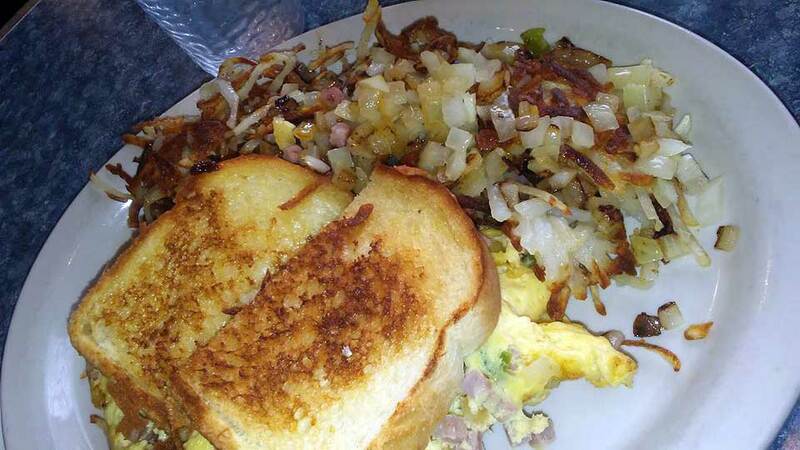 The place is always busy in the morning and dining room is packed tightly. But great food. Everyone that works here is very friendly and quick to serve. 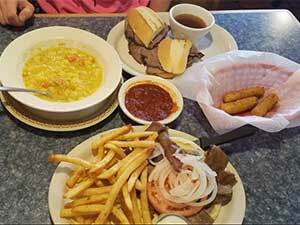 We've never had a wrong order or bad food; and we come here weekly. 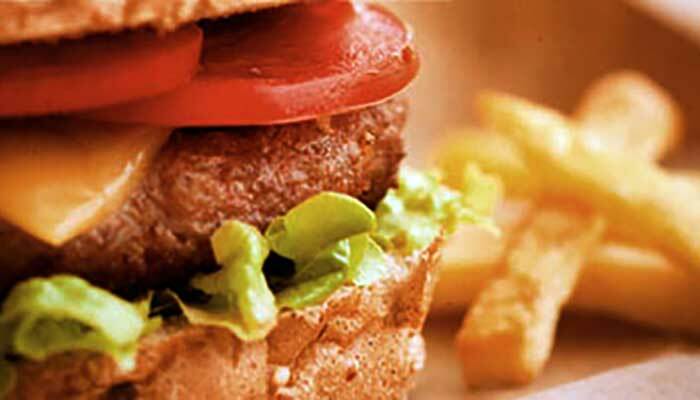 The food is fresh, tastes fantastic, and is very well priced. Additionally, you'll see the owner working just as hard as everyone else. He really likes to be involved. 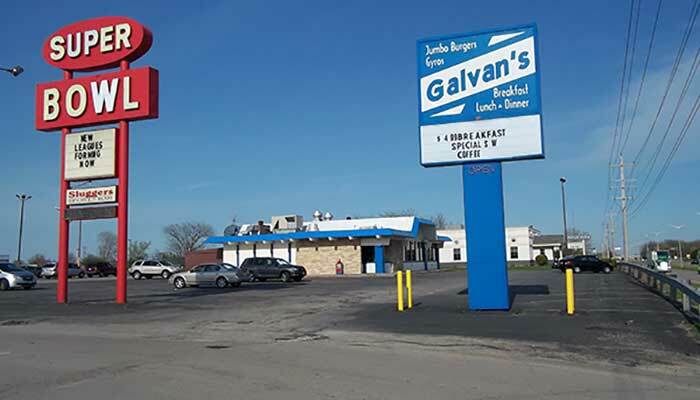 Galvan's is the definition of a family owned restuarant. 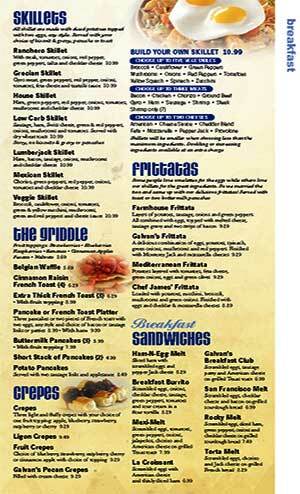 Welcome to Galvan's Restaurant and Pancake House menu. 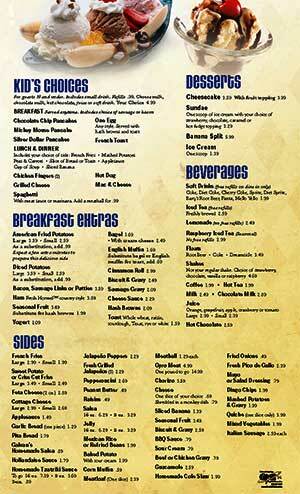 Family-style dining with a kid friendly menu. 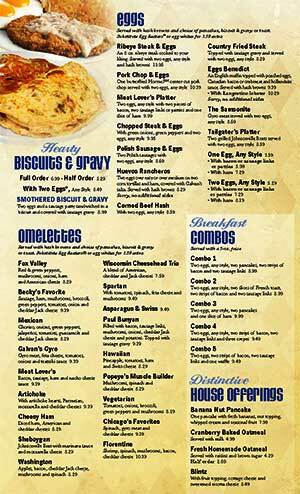 Eggs, Omelettes, Hearty Biscuits & Gravy, Breakfast Combos and Distinctive House Offerings. 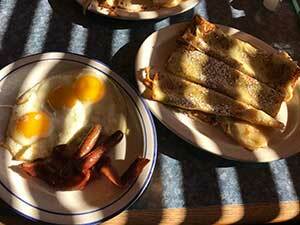 Skillets, The Griddle, Crepes, Frittatas and Breakfast Sandwiches. 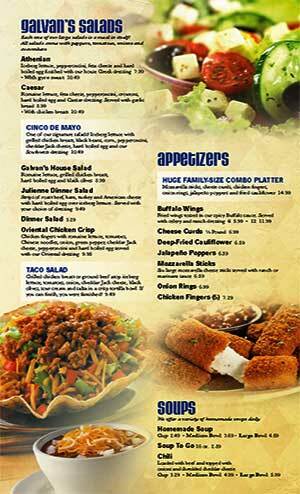 Galvan's Salads, Appetizers and Soups. 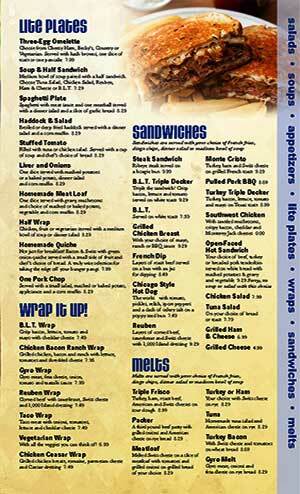 Lite Plates, Wrap it up!, Sandwiches and Melts. 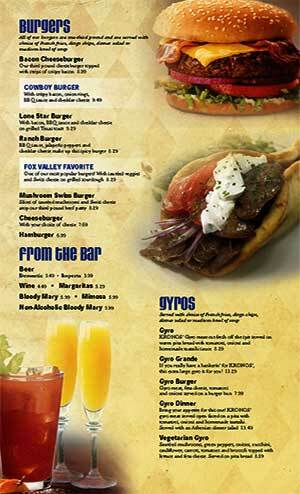 Burgers, Gyros and From the Bar. 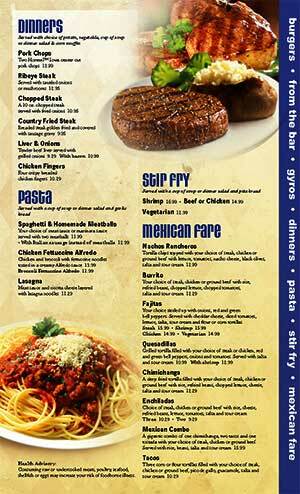 Dinners, Pasta, Stir Fry and Mexican Fare. 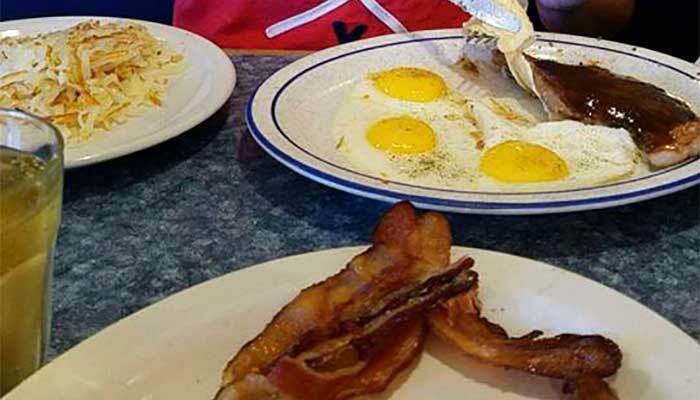 Kid's Choices, Breakfast Extras, Sides, Desserts and Beverages. 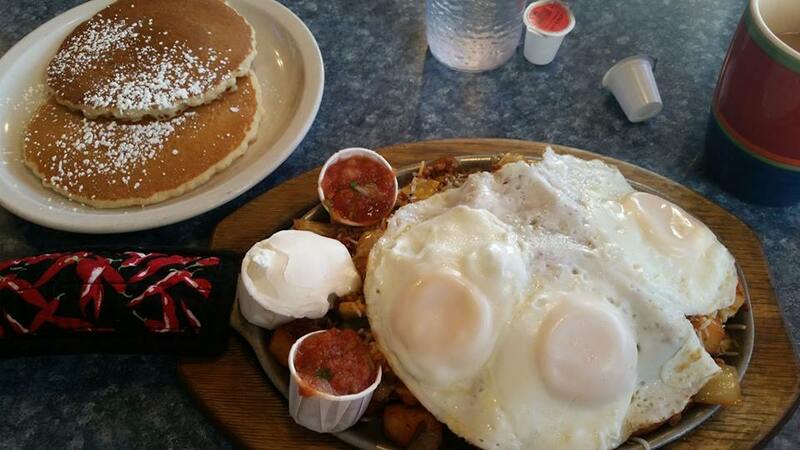 2220 E Northland Ave, Appleton, WI 54911. On the northeast side of Appleton. Easy access from Hwy 41 or Hwy 441.